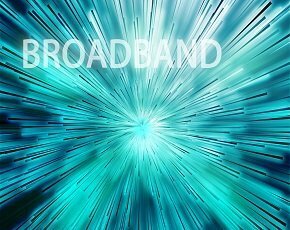 The UK is behind Europe with its fibre broadband connections because both industry and government are failing to aspire to next-generation networks. This was the claim made today by Karin Ahl, the new president of the FTTH Council Europe, who said the UK needed to step up its game to reap the benefits of faster fibre broadband. “In Europe… we are seeing stable progress, although in countries in Eastern Europe and the likes of Norway, they are coming along really quickly,” she told Computer Weekly. Although it may seem like we only have the two major players of BT and Virgin Media building out fibre networks across the UK, there are a number of independent projects getting both Ahl’s and the whole FTTH Council’s approval. Earlier this week, for example, CityFibre announced it was continuing to build out fibre networks and Fibre to the Home (FTTH) connections in York and Bournemouth. Partnering with Fujitsu for technical nous, the company plans to give 95% of York’s businesses a minimum of 25Mbps by 2014 and provide 25,000 homes in Bournemouth with connections of up to 1Gbps. “These [projects] are very key [and] will definitely stimulate a more rapid approach to fibre roll-out in the UK,” said Ahl. As the new president of the council, Ahl wants to focus the organisation on engaging more with these independent providers pushing the cause and look towards the business benefits of having fibre broadband. “We [the council] have focused a lot on the regulatory side, but now I would like us to look at the business case for fibre and the business use,” she said. What would Ahl say if she could give one message to the powers that be in the UK about fibre? “I would tell them to widen their eyes and widen their scope,” she said. “You need fibre networks, you need high capacity, the need is there for your businesses. The problem with the politicians and councilors in this country is that they don't live on the same planet as the rest of us. A lot of them are old and don't know much about modern technology so they couldn't care less about the roll out of FTTH.